Happy Friday and welcome to your weekly French beauty post! 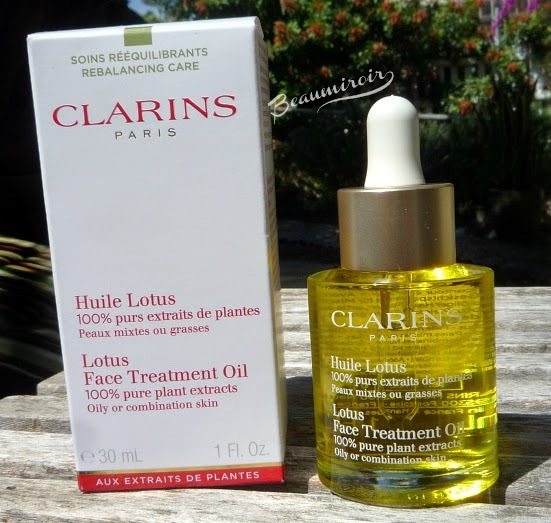 This week I want to talk to you about a fantastic product that remains completely under the radar, by one of my favorite French brands, Clarins. The Instant Smooth Perfecting Touch (in French Lisse Minute Base Comblante, the last two words would translate best as "filling base") is a smoothing primer that erases any uneven texture for a more even looking skin. I've had mine for ages, and the packaging has changed. It looks more modern now, with the latest iteration of Clarins' logo (you can see it here). As far as I know, it's still a small but heavy red glass jar: classy but not the best to carry around in your purse for touch-ups. 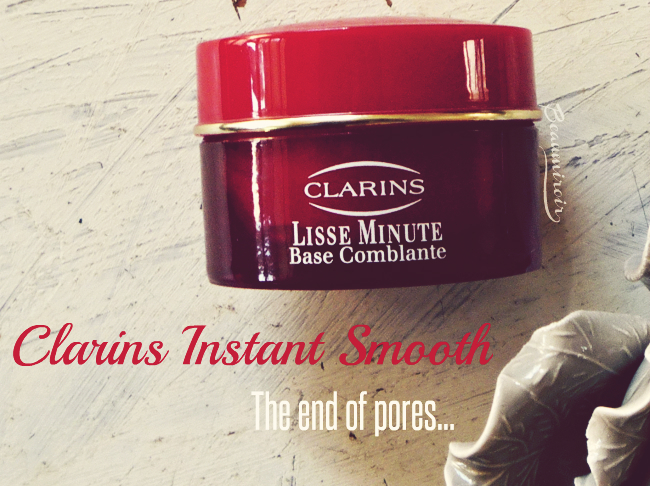 Clarins mostly sells it as a wrinkle-filling product, but to me it's most outstanding at erasing pores. This bouncy silicone cream feels velvety soft, and I recommend using a small spatula to get some product out of the jar: not only is it more sanitary, but it's much more efficient at picking up product than trying to rub your fingers on the surface (silicones are slippery!). It glides on like silk, feels light as a cloud, and it disappears while leaving a matte veil on the surface of my skin. Don't be put off by the light pink color, it's completely transparent once applied. 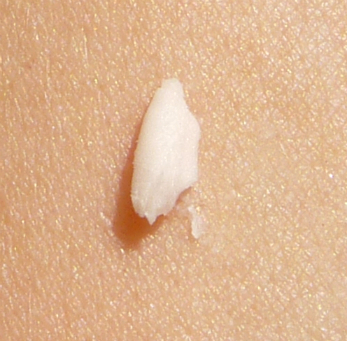 I also discovered while taking pictures for this post that it has the tiniest bit of the finest possible shimmer in it: I had never noticed before, and I only did when scrutinizing a swatch on my arm outside in full sunlight. I tried to take a picture but the shimmer was absolutely invisible! So I think this shimmer has a role in the blurring effect of the Instant Smooth, but it's absolutely undetectable when you wear it: the finish is really matte and velvety. Just one word of caution: don't use too much. If you do, it will remain slippery on you skin and it could make any product you apply on top slide around - this is true of any silicone-based product. Use just a tiny bit, and go back for more if you've spread it out but you still have some surface to cover. Earlier this week I showed you StriVectin's pore minimizer (I'm a little obsessed with pores these days I guess) that also offers skincare benefits with the addition of retinol. 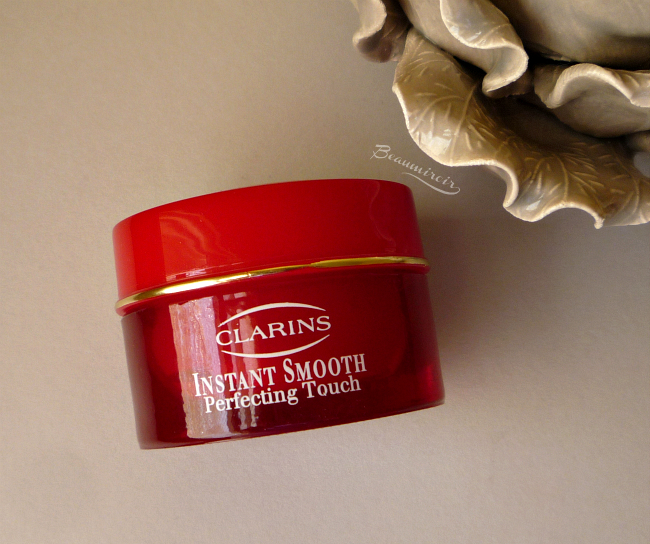 Clarins Instant Smooth Perfecting Touch, on the other hand, doesn't promise any long-term effect. This is purely a cosmetic product, so it won't shrink your pores in the long run, but it does an amazing job at making them look a lot less visible immediately. Many products promise to minimize the appearance of pores, but let me tell you, this one really delivers! It actually does that much better than StriVectin Pore Minimizer, and better than most silicone-based primers I've tried. It really makes pores look much smaller, and it also blurs fine lines pretty well. A closeup of my skin is not the most flattering picture for me, but that's the best way I found to show you how well it works. You'll notice that not only are my pores less obvious, the fine lines between my nose and mouth and on the corner of my lips are also softened. My skin looks a lot more matte after, and trust me, it wasn't oily at all before (I had just applied my Peter Thomas Roth moisturizer which also has a matte finish). The Instant Smooth makes a good primer as it creates a very smooth canvas for foundation. But it's a product that I sometimes wear on its own, or with just a bit of powder on top to even out my skin tone. Because it creates the illusion of a smoother texture and mattifies so well, I think it's a great way to go bare-skin and still look your best. 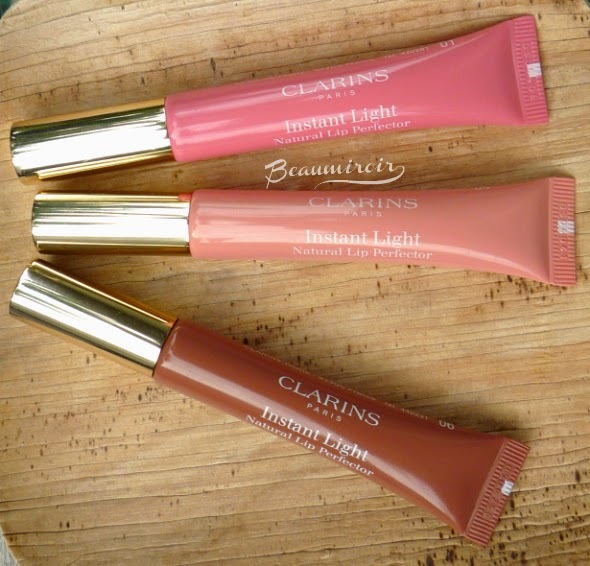 Overall: Clarins Instant Smooth Perfecting Touch is my favorite pore-blurring product. 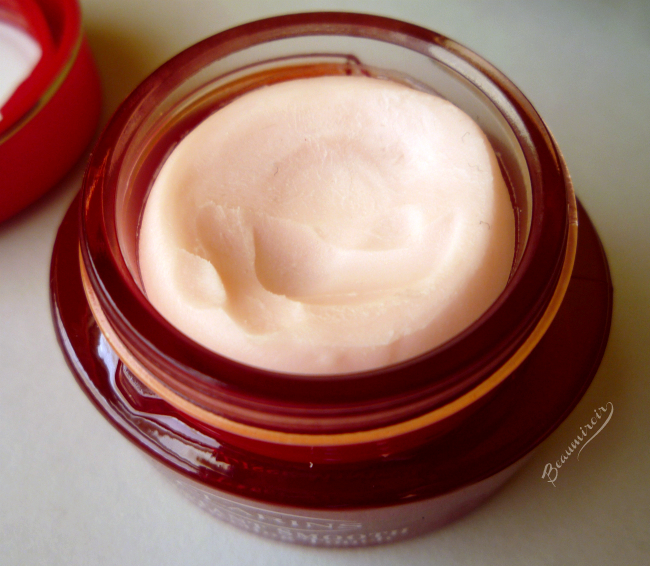 It mattifies my skin and makes it look smooth and velvety, softening any visible texture. It works great as a primer but I also like to use it by itself for real no makeup days!